Societies always have at least one "the other." You know, those that are set apart from the rest of the populace for some reason or another. In the case of Mutant Chronicles those would be the mutants and the heretics. 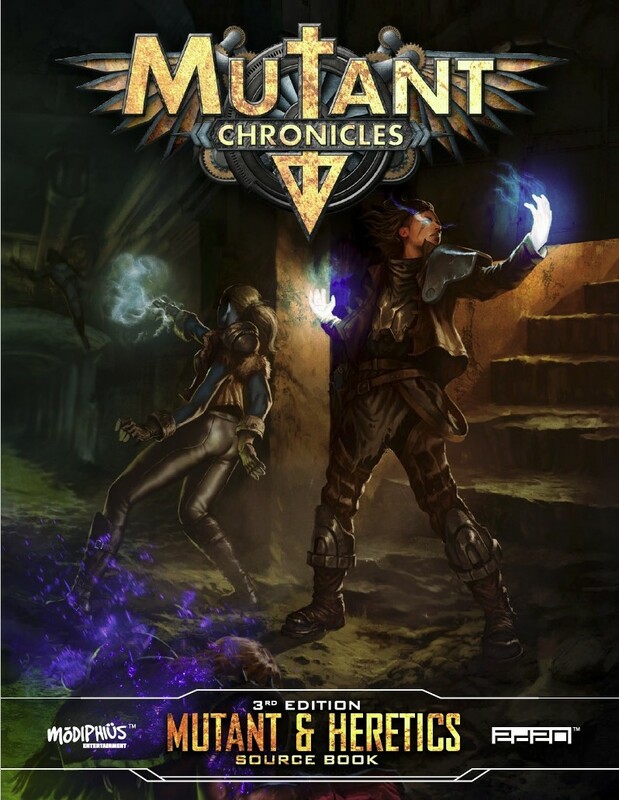 Now, I know, you'd think a game called, "Mutant Chronicles" would have mutants just running around all over the place. But that's not always the case. They're still rather misunderstood. And then there's the heretics. What's going on with them? Well, you can find out about both in the Mutants & Heretics supplement for the game. As the title suggests, this book covers mutants and heretics. Why do heretics act as they do? Why would they turn from the Light? As for mutants, how are they able to stay ahead of both the Brotherhood as well as the Apostles? But that's not all. It also deals a bit with the Ancients. Who are they? No one's entirely sure, but they left strange relics and huge vaults all over the solar system that are sought after to this very day.